Our induction heating systems are currently used in a variety of industries. Thanks to their extremely high energy efficiency, guaranteed reliability overtime and reduced overall size, Ceia Induction Generators, Control Units and Optical Pyrometers have received complements from all of the main automatic machine manufacturers (OEM). They have also been used successfully in applications where process repeatability, constant power supply, and accurate temperature control are essential. Read more about Induction Heating in our Knowledge Base. 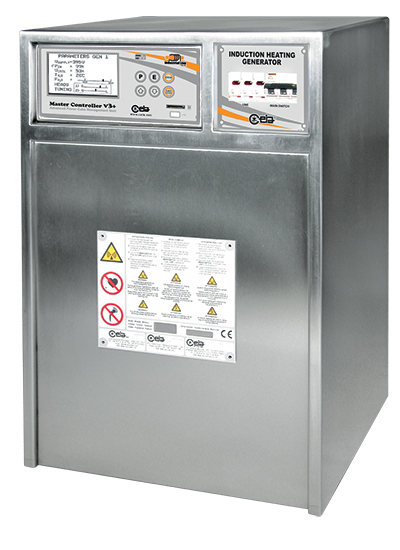 The 200 series is a State-of-the-Art Medium to High Frequency Generator available in the market. This family combine the extremely high efficiency of the miniaturized CEIA Heating Head solution (patented) with a powerful, continuous-duty rated, compact generator. 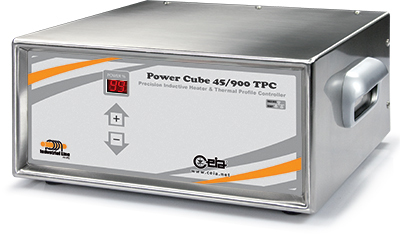 The 90-180-360-720/200 Power Cube generators complement the CEIA family of medium-frequency heaters and are perfectly suited to applications involving localized quenching and braze welding of metals that require very rapid heating. The generators have an ideal design for integration into automatic production systems. Space efficiency and simple operation also make these generators perfect for manual applications. All CEIA Power Cube Generators can be combined with the CEIA Power Controller, Master Controller, and PHPC electronics units. They can even be interfaced with PCs or programmable controllers via their analogue and RS-232 interfaces. The use of innovative technology and latest-generation components places the 200 series generators in a class of its own in terms of performance, power output and operational cost. The generator powers up to two miniaturized induction heads, which can therefore be positioned easily in restricted spaces and are also easy to mount on robots and automatic machinery. An original, patented energy transfer solution allows rapid heating of metal components with the minimum absorption of power from the supply network.